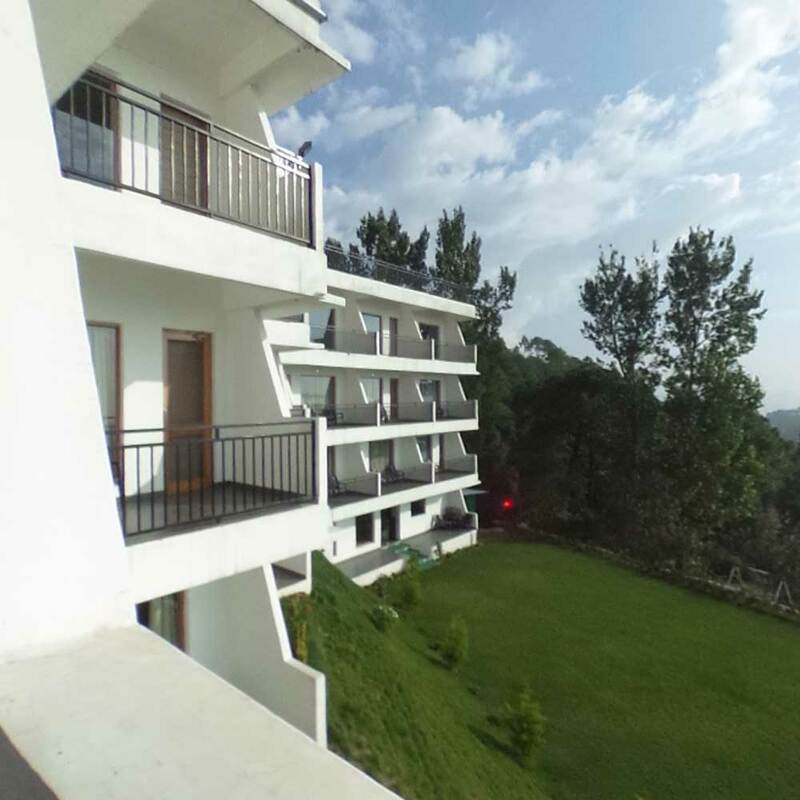 Best hotels weekend deals packages in chail near Shimla. "Perfect place to unwind after a long day’s sightseeing"
Our packages are designed as a fine weft of comfortable furnishings and spaciousness. Indoor modernism plays up with outdoor regional ingredients. Balconies are lapping against sun-kissed hills, overlooking at several strings of distant hills further to the other horizon. Large glass windows brazenly stand to filter in cooling shade of a starry night. Morning rays flood on to sepia parquet floors, accompanied with little birdies wishing you a new day. On one of weekend hotel packages, you will be lazily up, leaned to heavily padded headrest, to a frothy cappuccino. Of all best hotels in Chail, our concierge has flair of understanding the needs of guests without making them work hard in explaining. You are sure to feel on top of the world at our ultra-luxurious rooms. Two is company, three is a group, and when a couple or a family has to bear a third party, it turns into a mob. We have carefully drafted our best tour package in Shimla hills, away from hotchpotch of Shimla, in Chail, Himachal Pradesh. 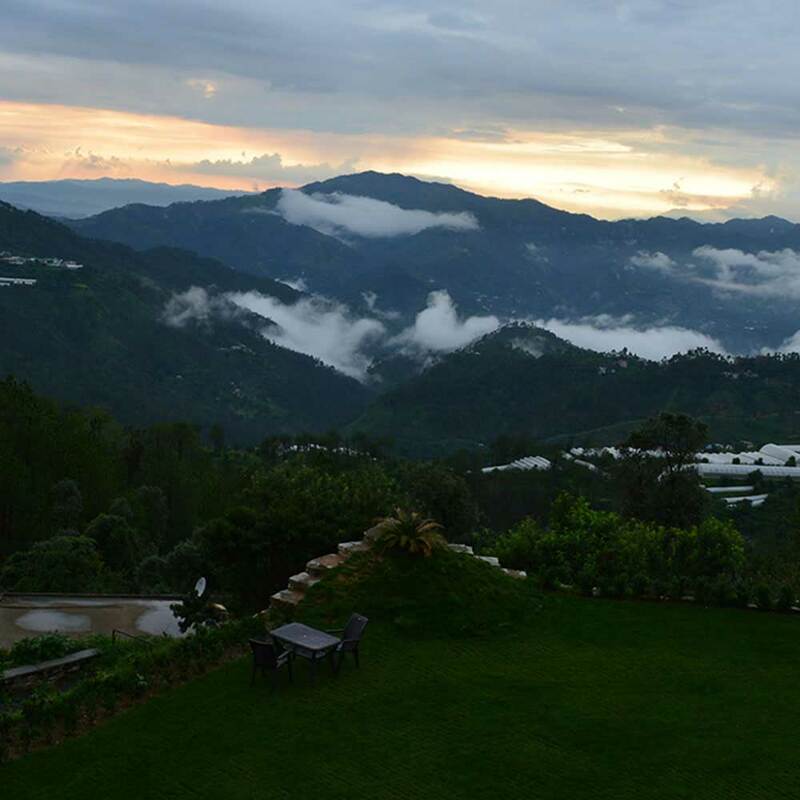 Here, at Ekant Retreat Chail, you can immerse yourself in absolute serenity and privacy. There is no need to fear the spooky neighbour. Relaxation and fun are assured to friends, family or couple alike. Your journey will begin from Chandigarh. On the way, you will be visiting Yadvindra Gardens, also known as Pinjore gardens. These had once been a summer retreat for Aurengzeb, the notorious Mughal Ruler. They are built in Persian Charbagh style, featuring rectilinear pools and fountains. After this nostalgic bite, you can drive off for Himachal. The lower region has a remarkably distinct vegetation and landscape. Upon entering, you will notice short and steep slopes, broad-leaved trees, Chir Pine trees and terraced fields on dwarf hills. As your smooth drive ends at our resort in Chail, we will be here to welcome you with our special drink. Our deluxe room that is complete with all the needful amenities will be your home. We offer impeccable hospitality and an army of service people, leave no stone unturned in making your stay memorable. The next morning, after a sophisticated breakfast, you will enjoy local sightseeing at Maharaja’s Palace, World’s Highest Cricket Ground, Sidh Temple and Kaali Ka Tibba. Next day is reserved for sightseeing in Shimla and Kufri. Transportation from Chandigarh to Chandigarh by cab. Cab will be Ac on Plains and Non Ac on hills. Ekant Special Welcome drink (Non Alcoholic) on arrival. Accommodation for 2 night in Deluxe Room. Breakfast and dinner at Mosaic Restaurant/ Garden Café. Weekends are those precious days when you can refill your reservoir of energy and spirit for rest of the week. This weekend getaway has been well crafted to accommodate the most in the little time you have. It is best tour in Shimla hills, with stay at Chail. Your fun time will begin at Yadavindra Gardens at Pinjore. Pinjore Gardens are exemplary in their Mughaliya art and rectilinear landscaping. Its architect has played very well with terraces, fountains and pools, forming interesting fluid visual patterns. Then you will ride our cab to Chail. On the way you will be able to see startling difference in geography at every mile. Upon arrival, we honour our guests with Ekant special welcome drink. Our deluxe room that is complete with all the needful amenities will be your home. The room is tailor-made to ensure that lodgers feel it like a dream and those dreams flourish every moment. A new dawn will awake you to chirping of songbirds and crowing of wild Pheasants. After breakfast, you will enjoy local sightseeing at Maharaja’s Palace, World’s Highest Cricket Ground, Sidh Temple and Kaali Ka Tibba. It is surely most comprehensive of 2 days tour packages. From sunrise till sunset, you will breathe in fresh aromatic air, oversee aging deodars and feel your heart relaxed to its core. Pick and drop from Kandaghat bus stop/ railway station. Accommodation for 1 night in Deluxe Room. 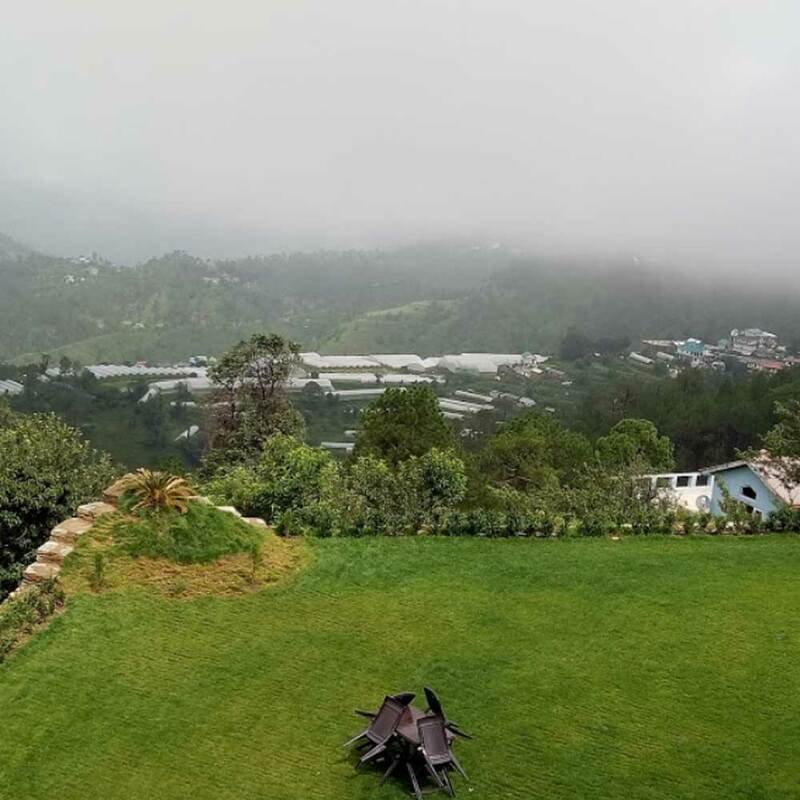 When holidays are flooded with tourists, weekday at Ekant Retreat comes in as an easy replacement of best weekend tour in near Shimla Chail. Our 2 days tour packages have been well crafted to make the most of the little time you have. Your fun time will begin at renowned marvel of Mughal landscaping, Yadavindra Gardens at Pinjore. Then you will ride our cab to Chail. The road to Chail offers alluring visuals at every turn. Both climate and land changes its mood from raw blushed earth to limitless carpet of deodar trees. Amidst these woods, at Ekant Retreat, we honour our guests with Ekant special welcome drink. Our deluxe room that is complete with all the needful amenities will be your home. The next morning, after breakfast, you will enjoy local sightseeing at Maharaja’s Palace, World’s Highest Cricket Ground, Sidh Temple and Kaali Ka Tibba. You will have pocket full of memories at the most serene wild location on earth. This journey will not end, but continue to tickle a smile throughout the journey of life.